Vietnam has been staying on the bucket list of many travellers. With rich culture, authentic cuisine and stunning nature, there’d never “enough time” to explore all the amazing things that the country has to offer. To those who travel with kids (especially with small ones), travelling is a great family bonding time yet it’d be a total disaster if you don’t plan your trip carefully beforehand. How to reduce the stress when travelling in Vietnam with kids? How to keep your family safe, healthy and excited throughout the trip? Here’s a comprehensive of everything to check out and experience. Tips when travelling with kids? How to get your children involved with local culture? Air tickets to Vietnam are cheap, perhaps the cheapest in Southeast Asia. 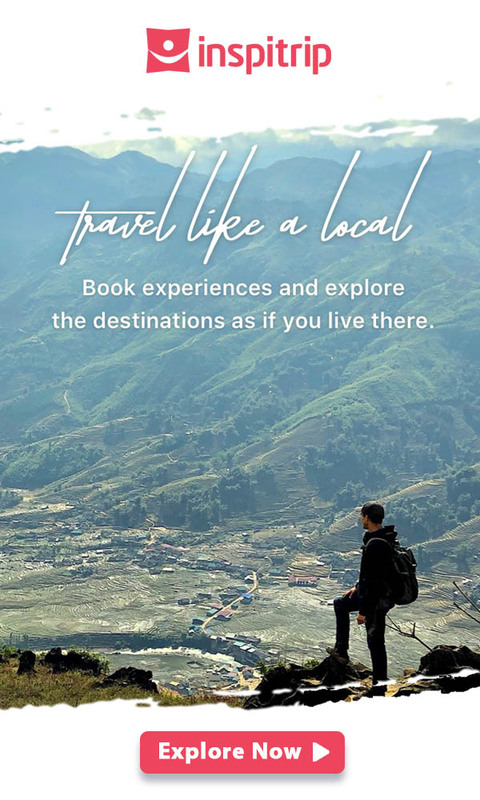 So if you keep your eyes on listing sites (like Skyscanner) or watch out for promotions from AirAsia, Qantas or Tigerair, you can easily get tickets at a fairly low fare. In terms of domestic transportation, depending on the distance, you can alternate amongst planes, trains or buses. For long distance transition, national brands like Vietnam Airlines or VietJet Air provides plentiful daily flights to more than 20 cities of Vietnam. For those who prefer to travel by ground transportation, tour bus and trains by far are the cheapest to move from one place to another in short distance. However, due to the more comfortable sleeping room and softer chairs, rooms to play for kids, trains are over buses any day to remain your kid’s high energy level. Accommodation options are also various that fit all types of budget. Depending on where you stay and the season, the price may be varied but in sum, it’s easy to find a hotel room from $10 to $30/night. Many of hotels offered breakfast, which already included in the room rate so it’ll save you a bit when travelling. Homestay is an increasing trend of lodging option for families who wish to stay close to the local community, it gives your children chances to interact with people and learn about the local customs. Vietnam is a naturally beautiful country with the dense river network of Mekong Delta, over 3000km coastline, the central highlands, the Northern mountains rocketing towards the sky. If you want to bring your children close to nature and give them valuable lessons in appreciating the beauty of it, Vietnam is definitely a perfect choice of destination. 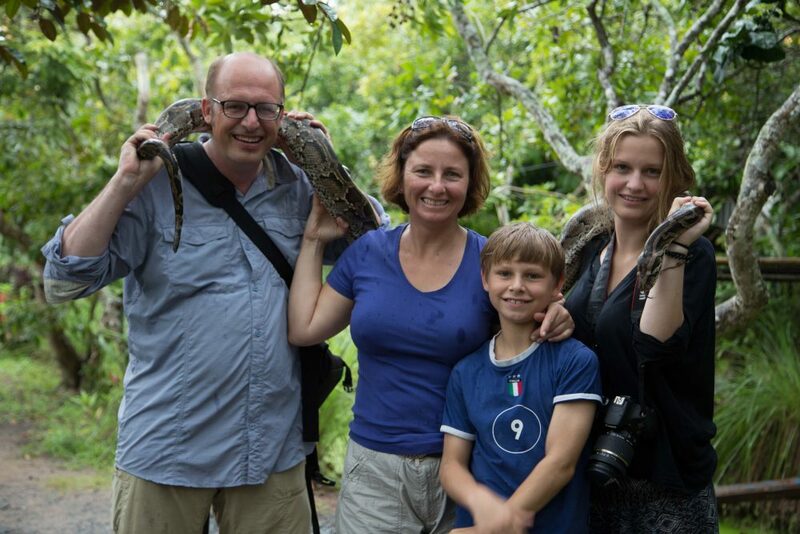 You can even play with a domesticated python in Mekong Delta! Overall, eating in Vietnam is cheap, if you avoid the fancy restaurants that usually charge at the tourist prices. 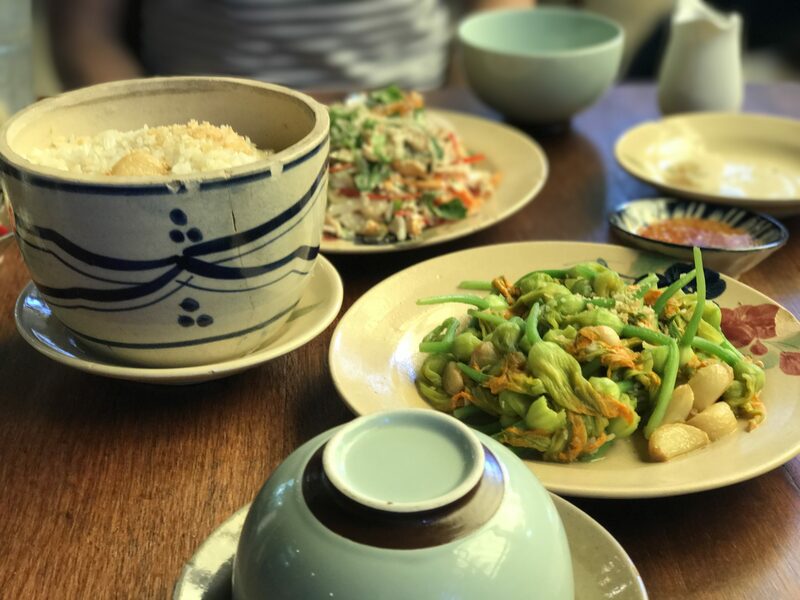 Unlike Thailand, Malaysia or India, where the food is usually much added chilly and pepper, Vietnamese food is more kid-friendly with a very balanced taste. Even though your kids are picky, there’re some fine and accessible choices such as Pho, fried rice, grilled chicken or banh mi. Still worry that your kids won’t be eating any of Vietnamese food, western restaurants are abundant to serve, but keep in mind that these are more popular in the big cities and charge you with higher price. Try authentic Vietnamese meal to keep your kids safe. Children who travel get soaked up with multi-cultures and practices, connected deeply with people from different backgrounds, which results in a more confident and successful in adult life as they are more socially and adept and acceptable. When you let your children travel deep into the local culture like let your children play with native kids or witness the local customs, it’s a great opportunity for them to socialize and learn outside the classroom. When you plan your family trip, try not to overplay your trip or it’ll be cluttered and you end up to spend time on unnecessary activities but have no time for last activities. Besides, be flexible with your plan, if you find something interesting on the way, take time for it cause unexpected destinations might bring about unforgettable memories for your family. Share your sample itinerary with your partner and also your kids to decide which destinations your family members like most. For example, choose 3 places you want to go most and let your kids choose one. It would help you find out the destination that your kids will enjoy and they’ll look forward to the trip. If you’re going to somewhere you have never been before, it’s better to ask for advice from locals. Don’t forget to find a destination having something for everyone in your family. Wondering when to visit Vietnam? Check out Best time to visit Vietnam. Before the vacation, check vaccinations of your kids and update your travel medical kit. Bring something familiar with your kids along, these stuff could comfort your kids if they get homesick. Also, having some familiar food in your bag in case Vietnamese food is too much for your kids to handle. During your trip in Vietnam, try to avoid overcrowded transportation, especially when you move by boats or canoes in touristy attractions. Finally, keep your kids from wild animals, they are usually not friendly as they look and might have the bad virus in their body. If you prefer to do something off-the-beaten-path, refer to our comprehensive guide. The best thing you can do to keep your kids healthy in the trip is to keep the itinerary as similar to a daily routine as possible. Keep the mealtime and bedtime as if you’re at home to help your kids adopt the new environment easier. Another tip is to eat with portion similar to those when you are at home. When travelling, we’re offered tons of good food and end up too full and may be harmful to digestion system of your kids. A normal diet of locals could be more suitable to your family. You planned the trip for a long time while hoping for a great family bonding time, and your kids will learn something new from an exotic culture. But how? When all your kids want in vacation maybe just watching TV with some snack, bring them to new and authentic experiences could bring them a life-changing trip. To get your children involved in Vietnamese culture, just let them play to their interests. When children explore what they like, they’ll have positive energy to learn new things quickly. Also, help them involved in Vietnamese language with basic sentences. Language is always the most exciting way to explore a culture. Last but not least, let your children eat and live like a local. The local life expresses the culture most and teaches your kids lessons about life value. The local life expresses the culture most. 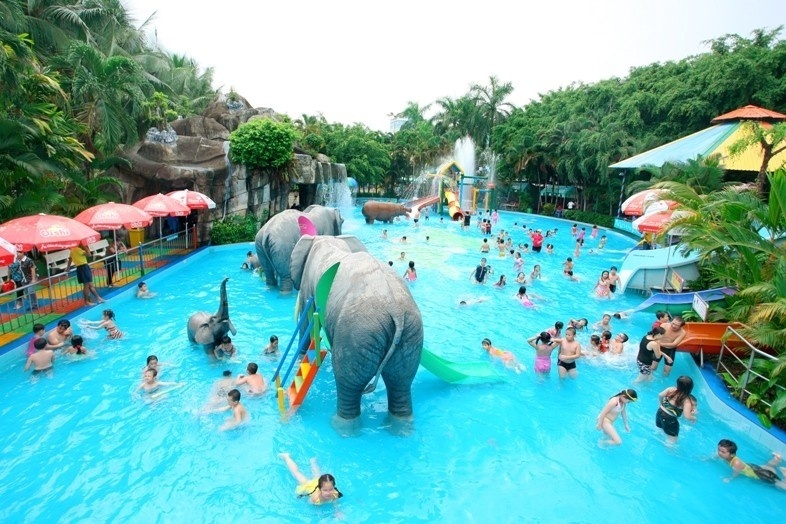 Your kids will certainly love the place, an enormous complex of cultural and water theme park. The water park complex is home to nearly 30 water rides including colorful high speed and gentle waterslides and a giant swimming pool, making a great place to stay away from the daytime heat. The cultural theme park contains of Western and Asian architectures and gardens which provide plenty of amusing activities for kids from cinema to adventure games, dinosaur exhibition and art performance. The park is especially crowded during weekend and holiday (without surcharge) so make sure to visit the place outside those days. Go break the heat at Dam Sen Water Park. Located about 30km from Ho Chi Minh City centre, the massive underground network built in wartime to be operational headquarter of Viet Cong will fascinate your children to excitingly crawl through the tunnels and see how the soldier’s living. Combining with fun physical activities are historical stories about the hardship of War, which is useful and interesting towards older kids and adult as younger ones may not understand the traumatic aspects of the history. In sort, a day trip to Cu Chi Tunnels is a highlight to any family travelling trip as it’s suitable for all ages. Go on an adventure at Cu Chi Tunnels and learn history from local’s angle. Vietnamese children love water puppet shows, so do your children. Actually, those performances are delightful to both kids and adults with beautiful wooden puppets, which represent warriors, dragons, fairies acting and floating on the water. To kids, the show is purely magical and entertaining. 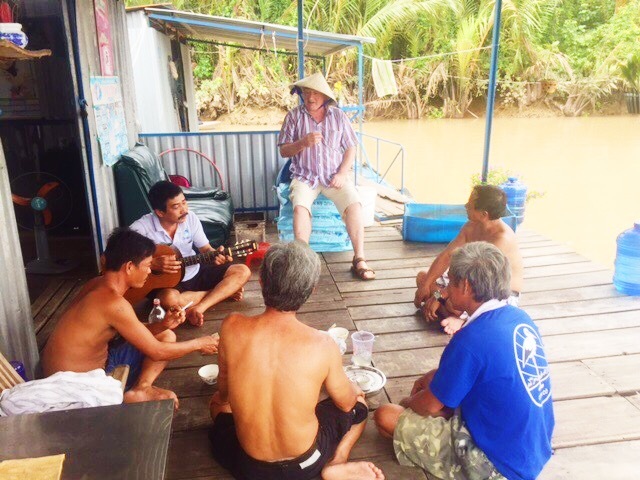 Mekong Delta is where you should head to in order to fully immerse into the real culture of Vietnamese countryside. Let not get yourself overwhelmed by bustling floating markets, Mekong Delta still has lots of hidden treasure to offer and all are well worth a visit. These best experienced on bikes or small canals. 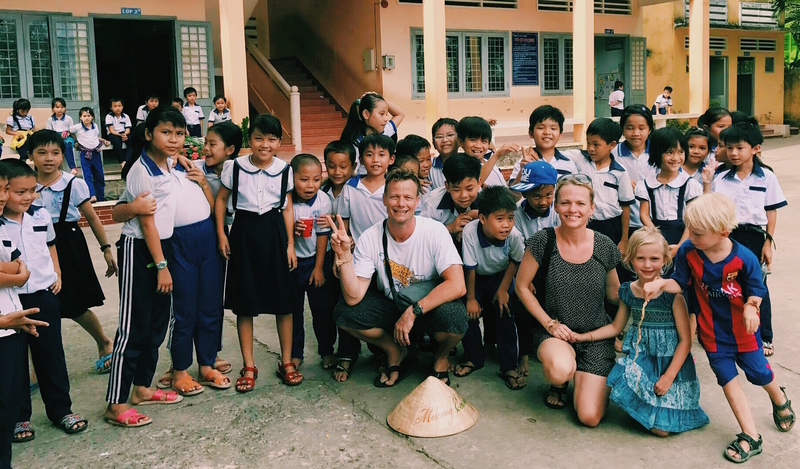 Your children will be excited to do a bike tour around the village, visit a local school or leisurely walk through the rice fields. Being list as one of 7 new wonders of the world, Ha Long Bay offers a stunning scenery, perfectly still water and limestone hills rising up, which is best to experience by small boats. Your family are allowed to move inside the caves and admire rock formations hanging from the ceiling when paddling through. For family bonding, kayaking is an excellent idea for family activity and teaching your children some serious soft skills such as wearing a life vest or keep themselves safe from the water. For older children who enjoy physical activities, you can bring them on the exploration of some surrounding caves, which requires to climb up over 100 stairs in order to get inside. 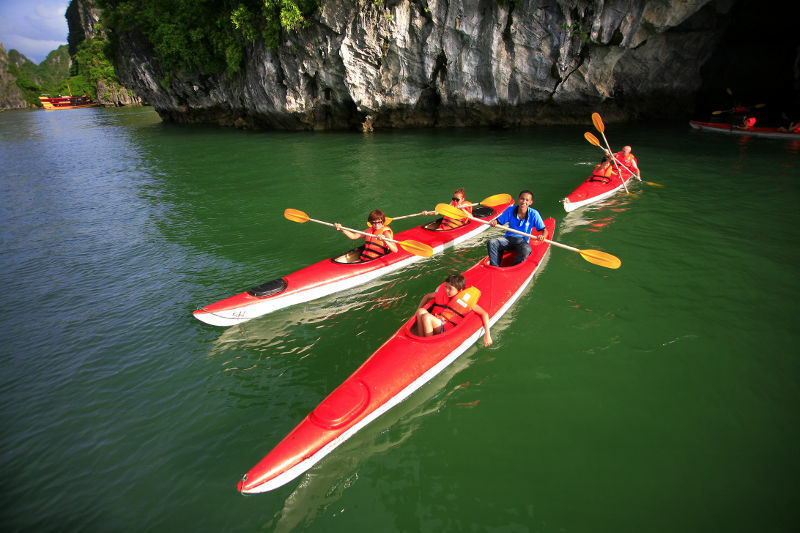 Explore Halong Bay’s caves, islands, seafood and more! Cyclo was used to be one popular vehicle for Vietnamese in 20th century yet seldom to be seen today as no one prefer to move around a purely human power means of transportation. However, cyclo gives the rider a chill, relaxing feeling when sitting on while it’s very cheap and comfortable. 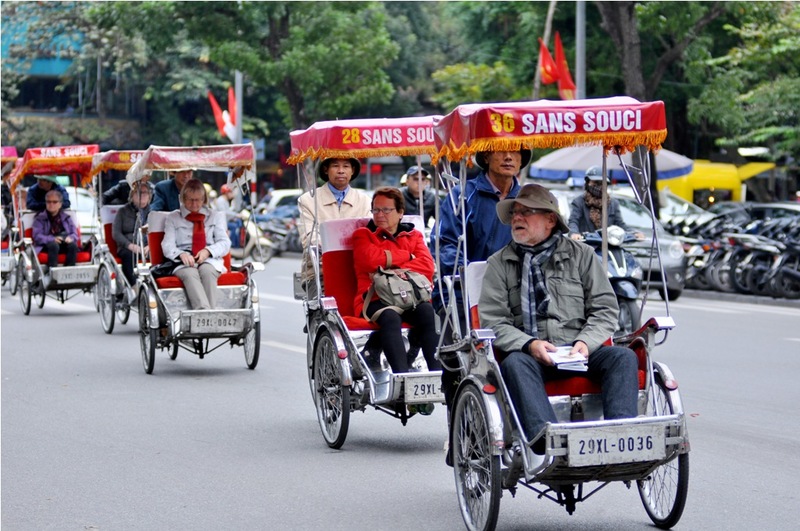 Nowadays, cyclo is mostly appeared in some Northern provinces, especially in Hanoi, it’s loved by many tourists and travellers. It gives you an open space without any doors and windows to enjoy sightseeing. Your kids will also love cyclo as they are strange and give them some space to play. And as it moves at lower speed, it’s is also safer than riding a motorbike. Most of the cyclo drivers can communicate in English or French at the basic level or very good at body language so you don’t have to worry much about the language barrier. Feel the city at your own pace with a cyclo. Ninh Binh is a really love the place for the whole family to visit thanks to its beautiful countryside landscape and peaceful vibes. One of the best experiences that suitable for all family members is travelling on a boat and immerse yourself in the breathtaking views of nature. Floating on the river, your kids will enjoy watching the spectacular view and spotting wildlife animals along the way. And they even may be excited to help with boat rowing, and it will be one of their highlights of the trip. 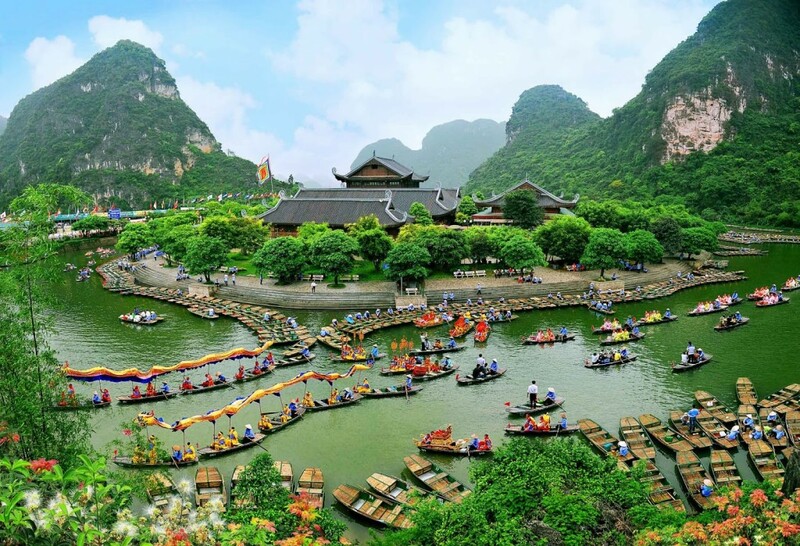 Some lovely places to do the boat trip in Ninh Binh are Trang An, Tam Coc – Bich Dong or Van Long nature reserve. Visitors come to Hoi An usually rent bikes or walk to meander around the side streets and alleyways to discover the beauty of this historical town. The main attractions are very close to each other, and the exploring journey is rather relaxing with lots of restaurants, cafes and bars dotted around the area. With good planning, your family can explore the whole ancient town within 1 day. A perfect day trip in Hoi An will be visiting main attractions such as Phung Hung ancient house, Tran Ancestor worship house, Assembly Hall of the Cantonese Chinese Congregation, Japanese Bridge, etc by day and doing the boat trip on Thu Bon river by night. Walking around Hoi An in the early morning may be the best time for family bonding. Hoi An is perfect if you taking it easy with no rush. Just relax and enjoy your time with your kids in Hoi An. Inspitrip connects you to private local insiders for private, personalised, and off the beaten path experiences. We are like Uber for private tour guides and for those who want to explore their destination through the eyes of those who live there. What power plugs are used in Vietnam?